Cleveland Orchestra are celebrating their 100th Anniversary! 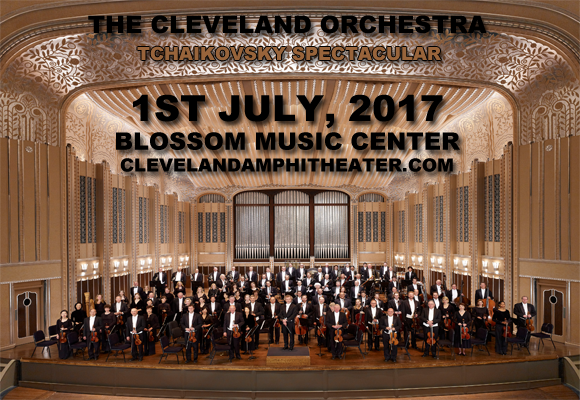 This summer, experience the music of one of histories finest composers conducted by renowned conductor, music director and pianist Jahja Ling as Cleveland Orchestra's Tchaikovsky Spectacular comes to Blossom Music Center on Saturday 1st July 2017 for two magical evenings! "Looking toward The Cleveland Orchestra's future, I am filled with enormous pride in the one hundred year collaboration between the Orchestra and community," said Music Director Franz Welser-Möst. "The exceptional musicianship and dedication of this Orchestra are acclaimed anew with each passing season, here at home and around the world. Our audiences' musical curiosity and intellect drives all of us onstage forward, to dream beyond the past, and to continue exploring new boundaries in music."